Scientist.com, the world’s fastest-growing digital marketplace for outsourced research services and products, announced today that it has partnered with ZRx Outcomes Research Inc. to offer researchers an array of HEOR services. The Canadian-based company offers RWE research, systematic literature review, comparative effectiveness research (CER), decision modeling, dossier development and medical writing services. Once a drug or medical device is on the market, it is important to assess its real-world effectiveness, post-authorization safety and cost-effectiveness to aid clinical and healthcare policy strategy. By combining evidence from multiple sources, health economic outcomes research can provide an overview of comparative benefits and harms of various treatment options. 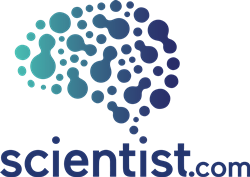 Scientist.com is the world's leading marketplace for outsourced research. The marketplace simplifies the entire research sourcing process, saving time and money and providing access to the latest innovative tools and technologies while maintaining full compliance with an organization’s procurement policies. Scientist.com operates private enterprise marketplaces for most of the world’s major pharmaceutical companies, the Biotechnology Innovation Organization (BIO) and the US National Institutes of Health (NIH). Since its founding in 2007, Scientist.com has raised $31 million from Leerink Transformation Partners, 5AM Ventures, Heritage Provider Network, Bootstrap Ventures and Hollywood producer Jack Giarraputo among others. Visit scientist.com to learn more. About ZRx Outcomes Research, Inc.
ZRx Outcomes Research, Inc. is a scientific, innovative and creative research corporation that uses Real World Data to provide an evidence-based approach to product strategy, by exploring new and existing findings on drug effectiveness, safety and improvement in reference to competitors. Over the last 3-4 years, more and more products are approaching the market using different types of managed entry agreements, with most common being volume-cap, value-cap, cost-sharing and risk-sharing agreements. Each product has a unique perspective and in order to maximize return on investment, as well as provide the right product for the right patient, the appropriate and innovative product strategy is required. Over the last 15+ years, we have provided advice in over 60 pharma and medical device products across different geographic markets and developed over 150 interactive BIM/CEA/CUA models.